Why choose us for your mesh repair and food industry products? For almost 30 years, International Services, Inc. has been a leader in supplying the food industry with premium safety products and mesh and disc repair services. Centrally located in Omaha, Nebraska, we proudly serve many customers throughout the United States, Canada, and Mexico. We pride ourselves on offering only the highest quality items, very reasonably priced. Check out our full line safety products. Our mesh repair service is second to none, competitively priced, and finished in a reasonable amount of time. 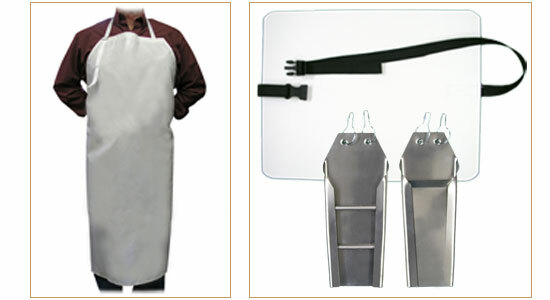 We also manufacture exceptional reusable, waterproof aprons. Proud to say "made in the USA". Copyright © International Services Incorporated 2010. All rights reserved.